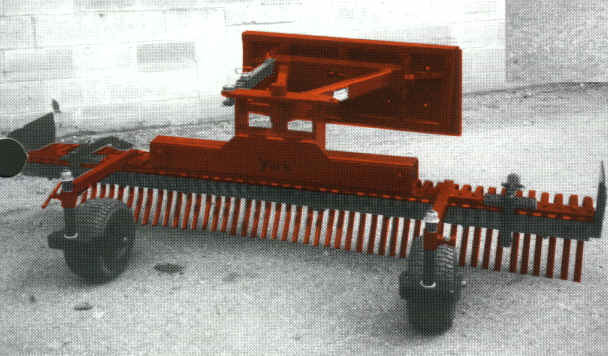 The York SSF series landscape rakes are specially designed for mounting on skid steer loaders. 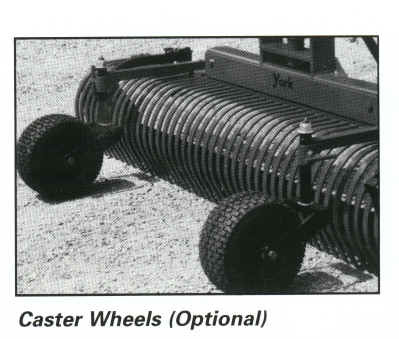 Order your rake with the appropriate plate for your skid steer, then simply hook up the SSF and you're ready. 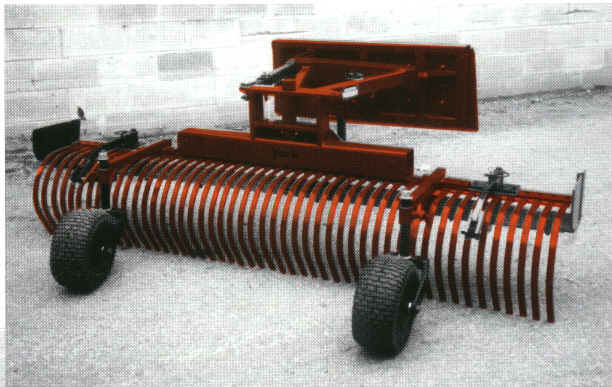 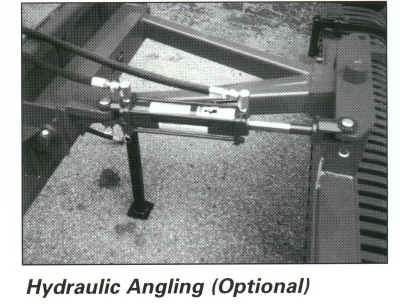 SSF series rakes are available in widths of 6 ft., 7 ft., and 8 ft.. 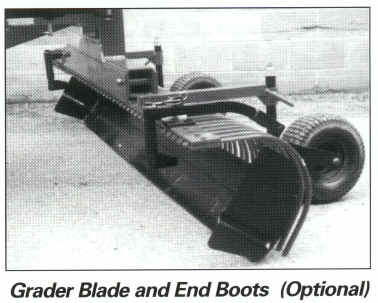 Note: Please specify skid steer make and model when ordering. 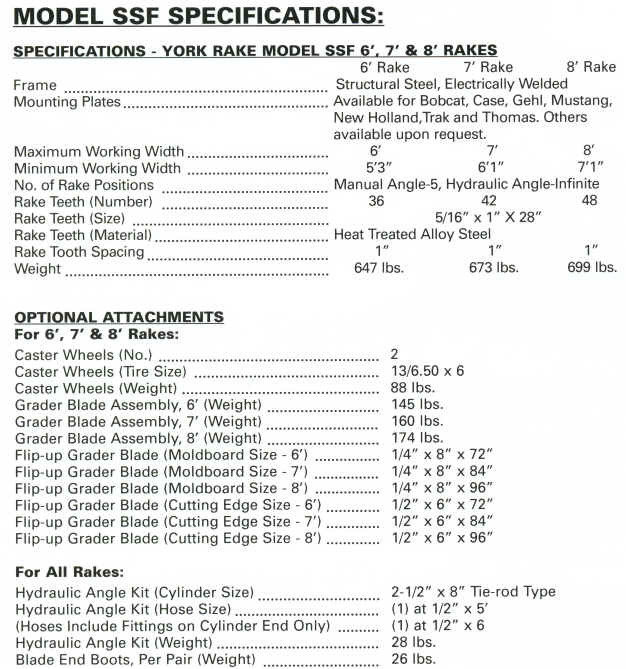 Cash discount of 5 percent is available if payment is made by check and mailed to us, instead of paying online with a credit card or PayPal, enter discount code CD5 in the coupon box at checkout to receive this discount.